For those of you coming to play Myrtle Beach golf soon you’ll have your choice from more than 110 championship courses in the area to play. We offer some sweet golf packages that will have you playing Myrtle Beach golf on any of those courses while providing you with top notch accommodations. There are plenty of other activities in the area for your time off the course. With more than 1,800 restaurants in the area you’ll have more than enough places to dine. But when you want to go out and kick up your heels consider the 5th Annual Myrtle Beach Beerfest being held at the House of Blues from 5-9 p.m. on Friday, March 29 and 11 a.m.-3 p.m. and 4-8 p.m. on Saturday, March 30. 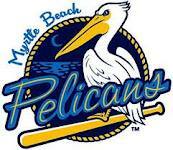 If you enjoy a good baseball game the Myrtle Beach Pelicans Minor League Baseball team will be playing home games in Myrtle Beach this summer with fireworks following these select games, weather permitting. For April the home games will be April 4-7, 15-17, and 22-28. All games start at 7:05 p.m. and are held at BB&T Coastal Field in the heart of Myrtle Beach. Also of interest to many people is the Lost at Sea Annual Memorial Ceremony in Murrells Inlet held at 2 p.m. on Sunday, April 7. The yearly ceremony will be held at Morse Park Landing (next to the Hot Fish Club) on Hwy 17 Business in Murrells Inlet. The Lost at Sea Memorial was erected in 2006 to pay tribute to all those who lost their lives at sea and were never found. The Memorial, located at Morse Park Landing, was established by the family of Johnny Brown, a 38-year old Murrells Inlet commercial fisherman who was lost at sea in 2005. 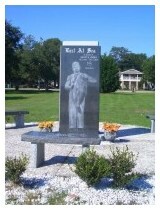 All the people, whose names are etched on the monument, will be remembered at the ceremony.